Your family's pride will show when everyone is wearing this t-shirt. The waving American flag is inside the outline of the lower 48 states. A larger star is placed in contrasting color in the location of your reunion! 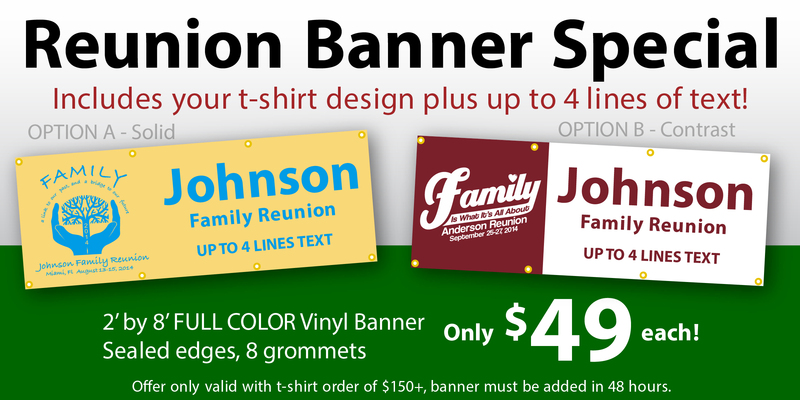 All text is also customized for your reunion.